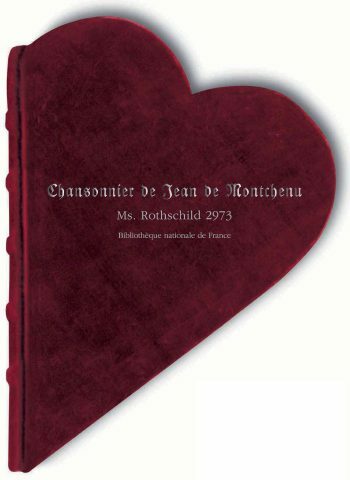 Heart-shaped MS, 22 x 16 cm, 144 pp. 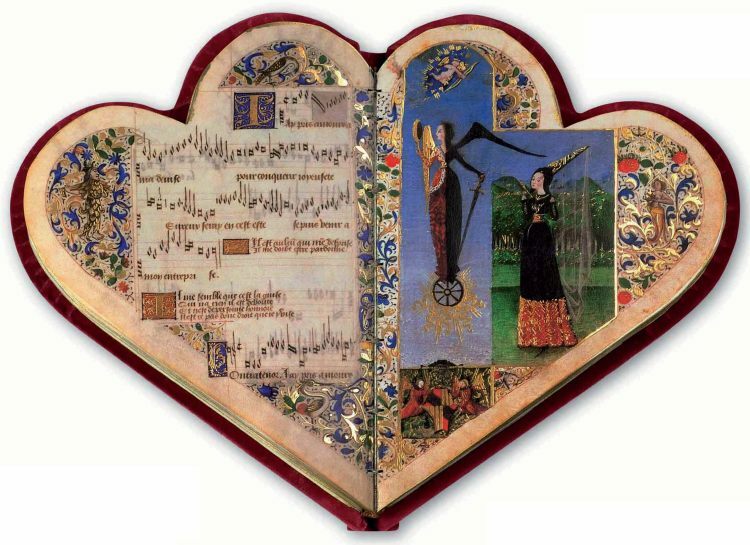 This exceptional MS, closed, is shaped like a heart; when open it becomes two hearts joined, representing two lovers who send love messages to one another in each one of the songs. When the word “heart” appears in the texts, it is represented by a pictogram. Two full-page illustrations appear in the codex. In the first, Cupid throws arrows at a young girl while at his side Fortune spins his wheel. In the other, two lovers approach one another lovingly. Throughout the MS the pentagrams, music and love poems are surrounded by borders made up of animals, birds, dogs, cats and all kinds of flowers and plants highlighted in abundant and delicate gold. The book gets its name from Jean de Montchenu, a nobleman, apostolic prothonotary, Bishop of Agen (1477) and later of Vivier (1478-1497) who commissioned the work. The music repertoire consists of French and Italian songs written by Dufay, Ockeghem, Busnois and their contemporaries. Limited edition of 1380 copies bound in red velvet after the original; 2-part slipcase covered in green leather. A clear acrylic case is also supplied for display purposes. 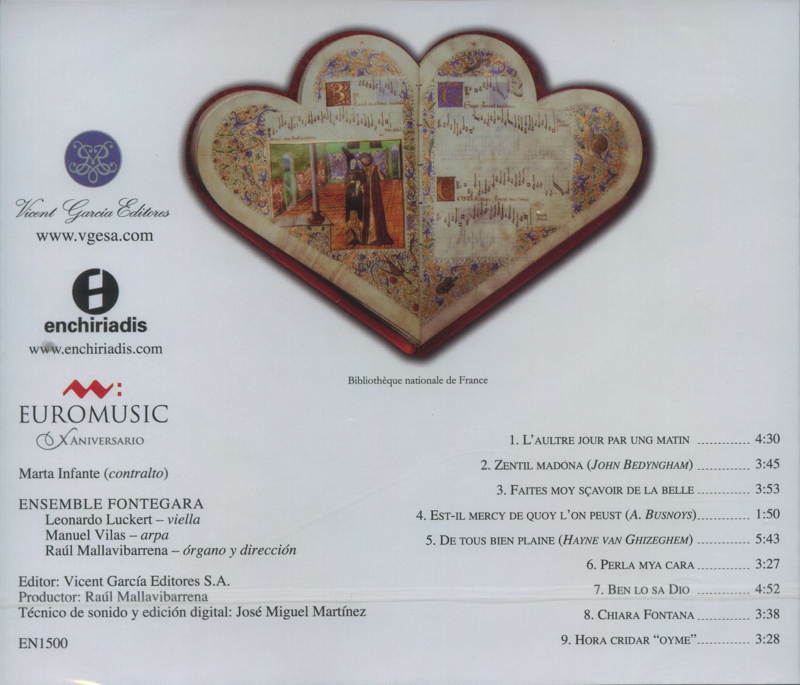 Audio CD with selection of songs.